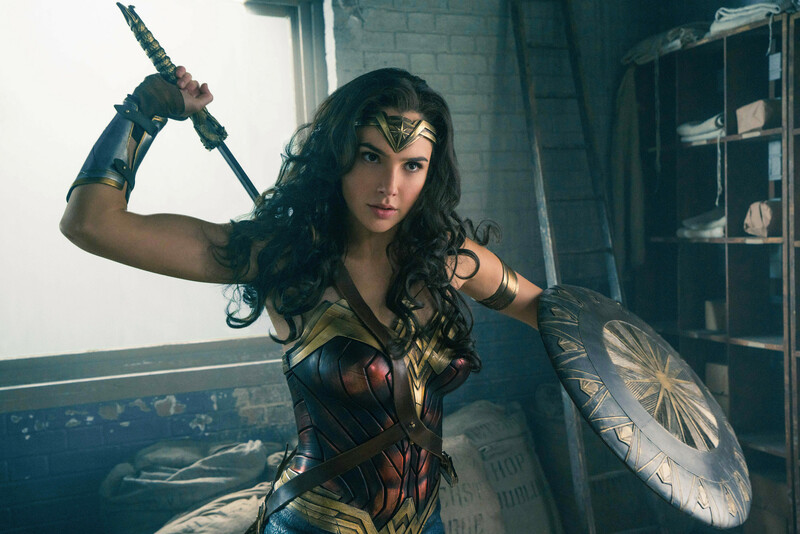 Wonder Woman is at it’s core, a reflection of it’s hero. Equal parts heart, humor, and humility (or hotness). The world has been waiting for Gal Gadot, a foreigner, an outsider, to play this role. She has a rare light about her, she carries a brightness that can shine through others, as clear as the wind. And with the current state of human, social and civil affairs, Wonder Woman’s timing couldn’t be any better. Feels Like: Wonder Woman, Fantastic Beasts, Man of Steel. Standout Performance: Gal Gadot and Chris Pine. Their chemistry is what makes the movie go-go-go, keeping the film light, yet grounded, and funny but not too over-the-top. 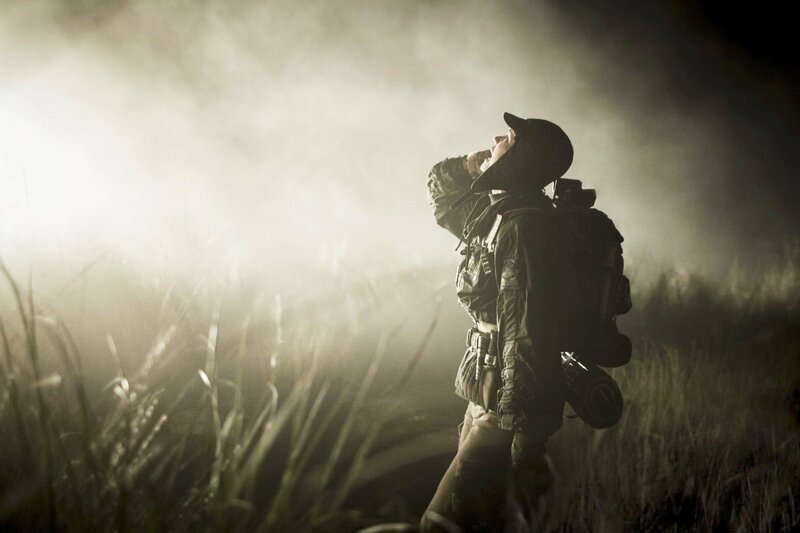 Harkening back to the films that came before it, Alien: Covenant is fast, fun, ferocious, and philosophical. While treading on familiar territory, it aims to forge it’s own, more elaborate and far more grandiose narrative. It’s everything you want in an Alien film. How do you stand amongst legends? By becoming your own. Alien: Covenant seeks to break new ground, while echoes of it’s past remind us why we love Alien films so much. The tension, the tone. The world that feels like our own, dingy and dark. Characters that are grounded, and flawed. The score is chilling, creating an air of dread and doubt. Flourishes of past Alien themes riddled throughout. Katherine Waterston is brilliant in her duality. Honest and vulnerable, strong and determined. Showing some real resolve, she is the heart of the film when it is truly needed. But there are few actors in our world, and in our time, with as much depth and complexity as Michael Fassbender. David is perhaps the most interesting character that the Alien franchise has spawned, next to the creature itself. His exuberance and passion, a guise for his ambition. His yearning for greatness. “Look on my Works, ye Mighty, and despair! Feels Like: Alien, Aliens, Prometheus & The Prestige. Standout Performance: Katherine Waterston & Michael Fassbender. A film that revels in it’s own joy, Guardians of the Galaxy: Vol. 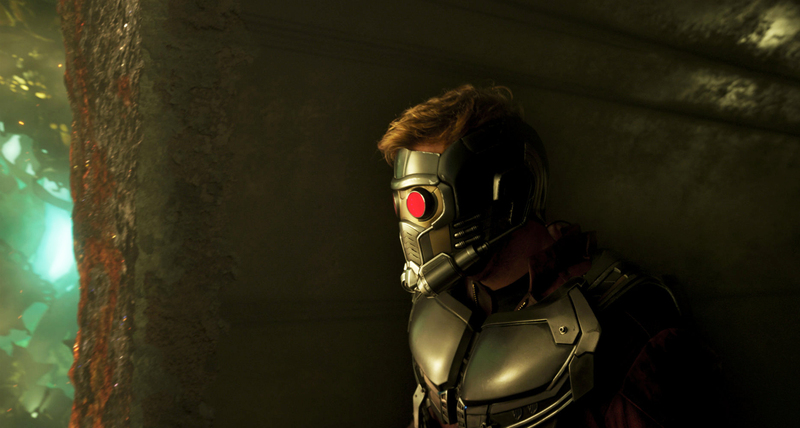 2 is highly self-indulgent, beautiful to behold, witty like Star Lord, and whole a lot of fun. And though perhaps not as fresh or as groundbreaking as it’s predecessor, it manages to go deeper into it’s characters, exploring their past, while pushing them a bit further than before. Guardians of the Galaxy operates outside of the mainstream, even though it is, completely mainstream. It revels in being itself. In being you, and in taking pride and ownership of that. Feeling cool about being you. A message that’s often lost but universal, and perhaps what draws audiences most to Guardians. Guardians feels the love and wants you, to feel it too. Though some of it is quite familiar, Vol. 2 doesn’t have the staleness or over-predictability that comes with most sequels. It aims to challenge it’s characters a bit. We start to see the layers come off. And when the film needs a bit of heart or humor, Guardians has them in spades. Dave Bautista is a scene-stealer as Drax, playing it straight and over-the-top with relative ease. Karen Gillian brings some real grit and determination, some real pain, to what could be a far less-memorable character in Nebula. The performances are always there in a Guardians film, a rare hallmark among modern blockbusters. Chris Pratt is one of the greatest leading men of our time. Most movie stars have charisma, strength, or bravado. But not all of them have heart. Something to root for. A greater sense of self, something to aspire to. That, my friends, is star (lord) power. Feels Like: Guardians of the Galaxy, Star Wars, The Avengers. Standout Performance: Dave Bautista, Karen Gillian & Chris Pratt. A beautiful shell. A haunted ghost. Ghost in the Shell is a fitting adaptation to it’s predecessor, taking on it’s spirit, it’s ghost, and giving it a pristine modern shell. There are some films that rely on imagery. Where visual storytelling and kineticism are king. Where you dive into another world. Ghost in the Shell is beautiful, dark, ugly, and haunting. Much like Blade Runner, the world seeks to transfix you. This version seeks to be far more global than it’s predecessor, more diverse. 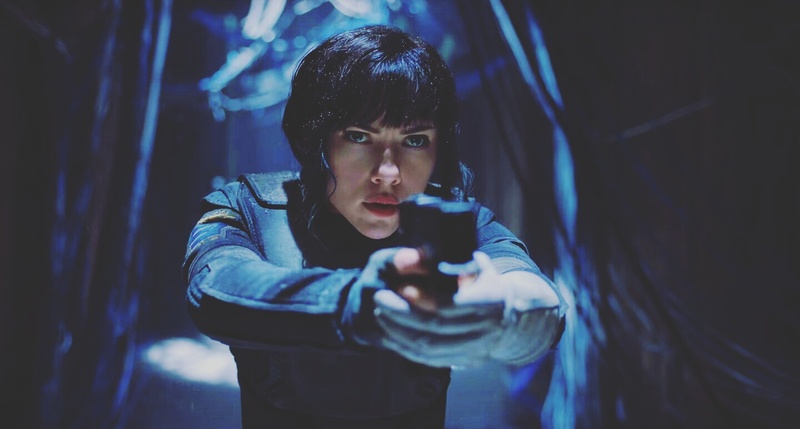 And while some may claim that white-washing is at play here, there is no better actress to play the Major than Scarlett Johansson. An A-list starlet, rare among her time, possessing an elusive alchemy of strength with grace, and humor with conviction. Making everything look easy, like the Major should. And though I sincerely hope that there’s an English-speaking Asian actress with dramatic chops and action-star qualities somewhere out there in the world, I’m just not sure we’ve seen her yet. The supporting cast adds some much needed depth to the world. Juliette Binoche, Beat Takeshi and Michael Pitt all bring a sense of legitimacy and realism to what could be a far more hammy movie. Michael Pitt in particular, shows some true torment and pain. Some recklessness and rage. 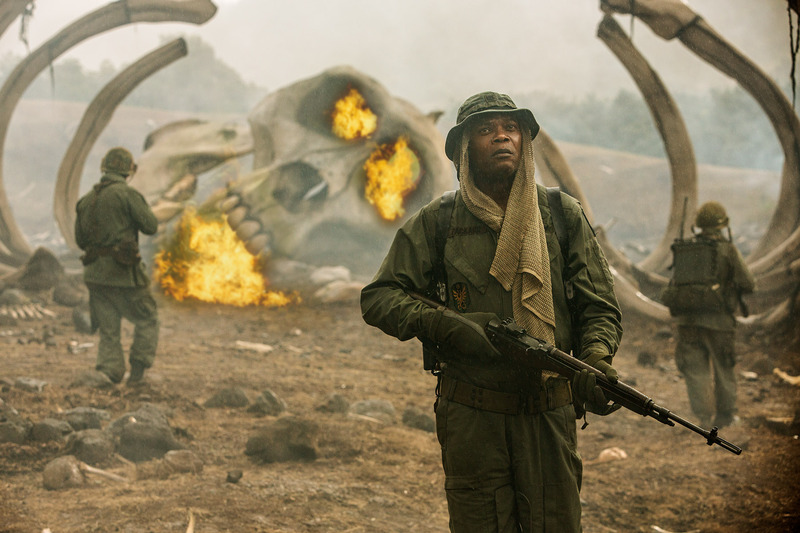 There are two major criticisms that this film will take on. One will be in regards to it’s story and dialogue, and the thoughts that they’re shallow or empty. The other being that it’s retreading on storytelling concepts long repeated before. Some of the dialogue and voiceover being hammy, I can buy that. The ending monologue is probably the most egregious moment in the film and would be far better off without it. But what most don’t realize is that the original Ghost in the Shell was a breakthrough for not only science-fiction, but for storytelling as a whole. The Matrix, Avatar, Ex Machina and countless other films were directly influenced by Ghost in the Shell. The dichotomy between human intelligence and artificial intelligence, the integration of technology in our everyday lives, all of these ideas were a genesis for the existential, man and machine concepts and questions so prevalent in our society today. Feels Like: Ghost in the Shell (1994), Blade Runner, Resident Evil. Standout Performance: Scarlett Johansson & Michael Pitt. Greatness captured on film can be immortal. And there are times when Life is reaching for greatness. For something found in 2001, Alien, and Interstellar. Moments of magic, of grandeur. And while Life doesn’t always reach some of the heights that it aspires to, in it’s attempts, it manages to ever so often, grasp at greatness. The film opens with a long take, a long tracking-shot winding through the interior of the International Space Station, introducing us to it’s crew and letting us in on their individual responsibilities aboard the ship. You can feel the complexity of the shot as it goes on, a choreographed dance between performance and execution. And while I didn’t always feel connected to the characters during the opening sequence, the sense of immersion was telling, reminding me at times of Gravity and Sunshine, with a certain sense of darkness, foreboding looming over. Life really gets going when we meet Calvin. An amalgamation between the original xenomorph from Alien, and in my theory, the mysterious alien blob from Cowboy Bebop‘s own, Alien-inspired episode, “Toys in the Attic”. A great episode from a particularly fantastic show, “Toys in the Attic” also features it’s main protagonist blasting away at the unknown creature with a flamethrower over and over, subduing it momentarily. Once Calvin becomes a factor, the film begins to shed it’s skin, revealing itself and dictating the circumstances. Tonally, Life is very much like Alien, but a bit more scientific and less instinctual. A bit more probing. Though some of the performances felt slightly forced in the beginning of the film, the actors truly shine once the story starts to take a turn. 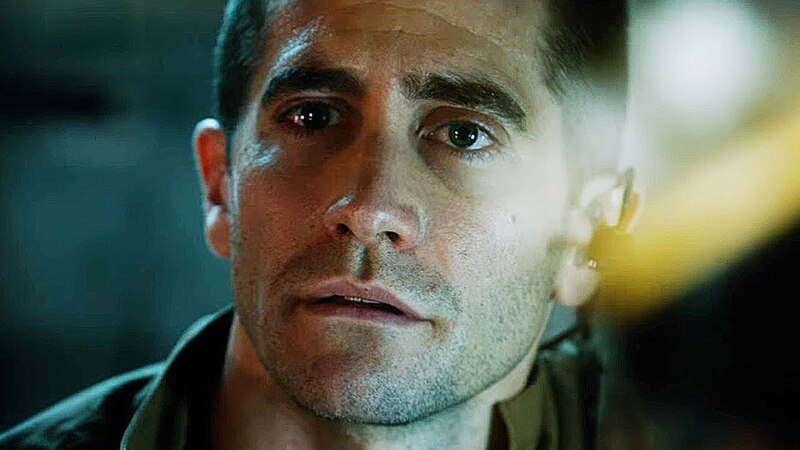 On-screen charisma is a rare trait, and Rebecca Ferguson, Jake Gyllenhaal, and Ryan Reynolds possess it in spades. Rebecca Ferguson in particular, is a standout among the others. Focused and calculated, she has a resolve amongst the others that is undeterred. Her star in Hollywood has already been rising, and I suspect that we’ll continue to see great things from her in the future. And while Life embarks as a highly intelligent film, it also at times underestimates the intelligence of it’s audience. Where it would have benefited from more subtlety, it’s often on-the-nose. Intelligent films always trust the audience. It could have stuck to it’s guns more. Life‘s greatest strength however, is it’s control of tone. It plays a bit like Alien, like a horror film. Like a haunted ride at an amusement park, where atmosphere is everything. And while it may not reach the heights of the films it was influenced by, it certainly leaves it’s own mark as a piece of Science-Fiction cinema. Feels Like: Alien, Europa Report, Sunshine, Cowboy Bebop. Standout Performance: Rebecca Ferguson. Playing against type, she remains steadfast and sharp, bringing a bit of humanity to an otherwise distant character. A more intimate companion to the animated classic, Beauty and the Beast finds it’s stride in the depth of it’s portrayal. We see the world in a closer light. The characters, though many of them inanimate objects, often times feel more real than their human counterparts. And that in itself, is surely magic. The story begins as we’ve known it long before: A tale as old as time. And I began to realize while watching the film, that every character is simply looking for love. I remember as a child being swept away by the music and the world, only now there’s a bit of nostalgia, a part of your childhood calling back to you. 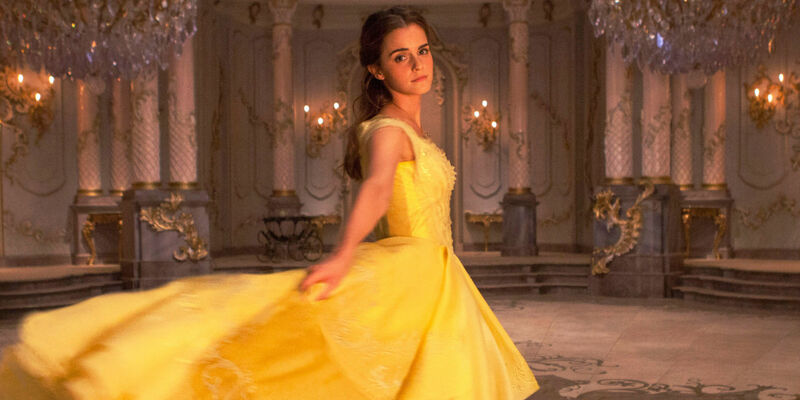 Though Emma Watson doesn’t always take her Belle to a soul-touching level, she’s probably the best Belle that you’ll find on this here planet we call Earth, and you could say the same of Luke Evans, Ewan McGregor, Josh Gad, and many others. The casting is simply phenomenal. Emma Watson is at her best when her guard is down, when she’s vulnerable, when she truly goes for it. We don’t always get to see that. She’s still a young actress, she doesn’t always reveal that side of herself to it’s fullest. But we do catch glimpses of it. We see moments of heartbreak when she’s next to the Beast as he lays dying. And we see it after being propositioned to, yet again by the irrefutable Gaston for her hand in marriage. Reprising the song “Belle”, all while appearing genuinely annoyed, frustrated, empowered, humored and ready to move on. It’s something that few can do so well, with such fervor, and part of the reason why audiences love her as much as they do. She has those moments of brilliance. Moments where she truly lets go of herself, where she truly goes for it, and it’s like lightning in a bottle. Temporary, but breathtaking. The Beast, though played quite well throughout by Dan Stevens, had a few moments where the magic may have lost it’s luster. When he collapses after his fight with the wolves, when he smiles back sheepishly after slurping soup at dinner, there were moments that felt slightly over the top. I think the CGI at times lacked the subtlety that practical effects would have had when it comes to performance, though most of the time the CGI was both realistic and fantastic. And though Stevens should be lauded for what he brought to the role, once the spell was lifted, there were moments where the Prince completely lacked the presence that the Beast once held. The weight of his character, seemingly gone. At times, I couldn’t help but wonder what heights the film could have been brought to by someone like Benedict Cumberbatch or Ryan Gosling, who perhaps could have found more depth, or darkness in the Beast. But considering the circumstances, the expectations of grandeur, and the immense challenge in re-capturing the audience and the world’s imagination, Beauty and the Beast is, in classic fashion, as true as it could be. Feels Like: Beauty and the Beast (1991), Harry Potter, Cinderella. Standout Performance: Ewan McGregor & Josh Gad. Lumiere is a marvel in this film, and McGregor, a chameleon in his portrayal. And to play Le Fou, there is no finer actor in the world than Josh Gad. 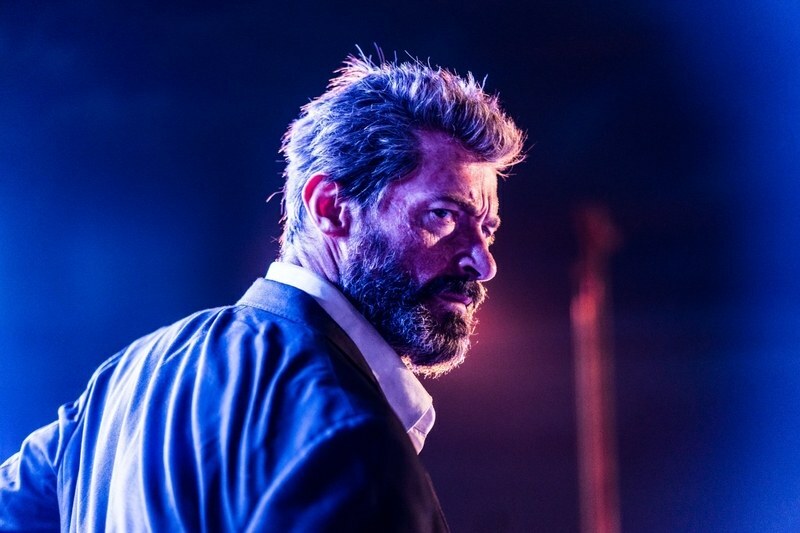 A fitting end to an iconic character, Logan is a film that exceeds expectations in it’s brutal honesty, transcending whatever a superhero film is supposed to be, and becoming it’s own beast. The film begins on the floor of a limousine, where we see how far our hero has fallen and just how little he cares. The World’s Most Infamous Über Driver. Wolverine’s story is that of redemption. Or at least the search for it. An inner conflict, torn between selfishness, and that of service. Perhaps Logan has realized that he’ll never find redemption for himself, that he always found it through others. This is the tale of an underdog, someone who always needed something bigger than himself, something worth fighting for. Feels Like: Unforgiven, The Wrestler, Shane. Standout Performance: Everyone on board. James Mangold has always been great at pulling strong performances from his cast, and this film is no exception. 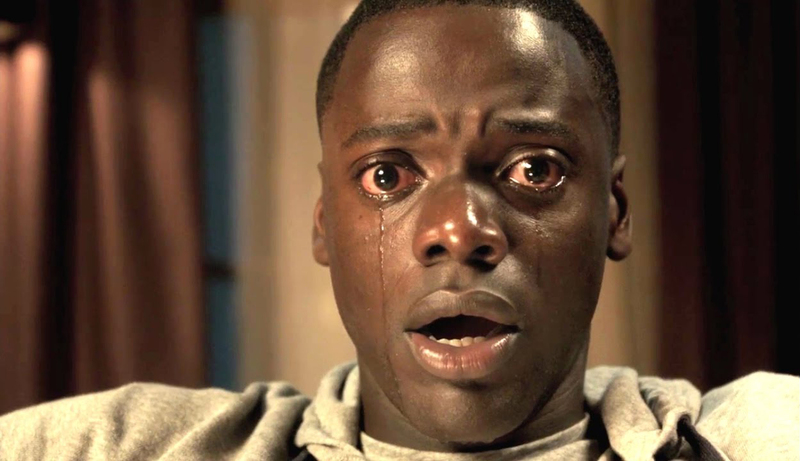 Few films can thrill, entertain, frighten, and enlighten like Get Out. At times like Scream and at times like Rosemary’s Baby, where a strange alchemy of humor, terror and paranoia is always at work. But Get Out strives to not only entertain, it strives to educate. To show you what racism feels like. What it’s like to be an outsider. What it’s like having your voice silenced. To be marginalized by others, and misunderstood. A film like Get Out only comes around so often, so you’ve got to see it. You won’t regret it. Feels Like: Rosemary’s Baby, Scream, The Stepford Wives, & The Happening (in a good way). Standout Performance: LilRel Howery. A scene-stealer; keenly self-aware and unabashed.